Nicole Meyer turned her love of cooking and entertaining into a successful blog, Nibbles by Nic (which often makes appearances on lipulse.com). 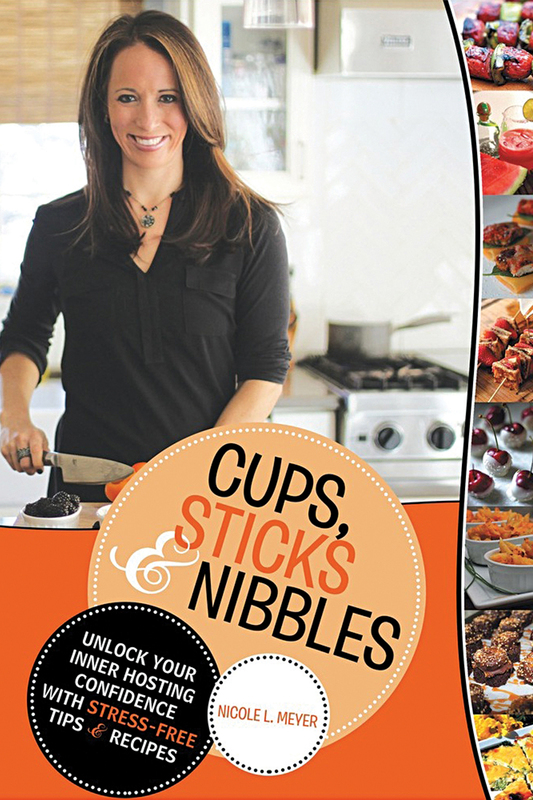 Now she has turned her blog entries into a book: Cups, Sticks & Nibbles: Unlock Your Inner Hosting Confidence With Stress-Free Tips & Recipes. In addition to easy and fun dishes (such as stuffed almond-butter strawberry-jam French-toast skewers and pineapple steak roll-ups) she also provides useful tips on hosting all types of events. 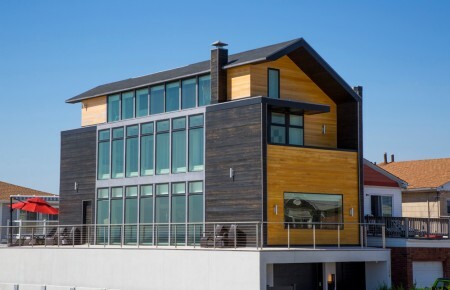 Covering everything from a successful party preparation timeline to color schemes and goody bags (for kids and adults), Meyer is on a mission. 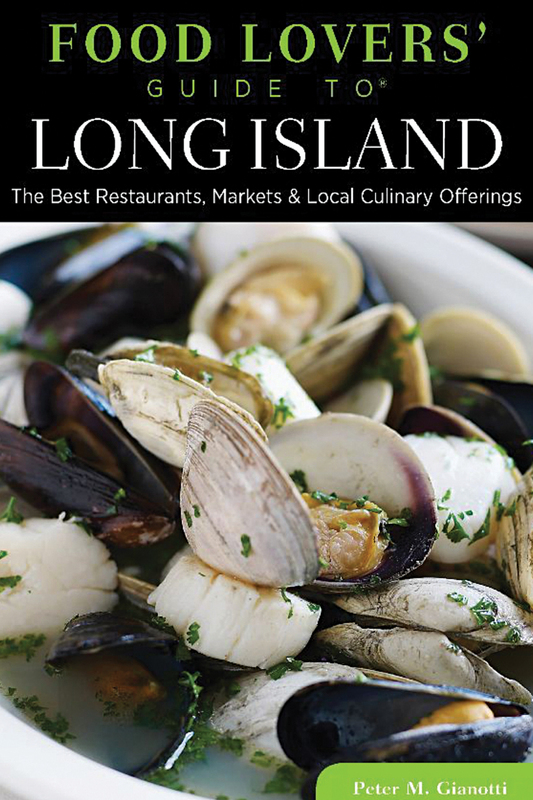 Where can you get the best seafood, vegetable or beef dishes on Long Island? Which restaurants are worth waiting on line for? In Food Lovers’ Guide To Long Island, each chapter is arranged by county, and then broken into categories by towns. Each locale is divided into three sections: “Foodie Faves” (restaurant recommendations), “Landmarks” (food spots or stops with historical significance) and specialty markets and shops such as bakeries, gourmet shops and farmers markets. 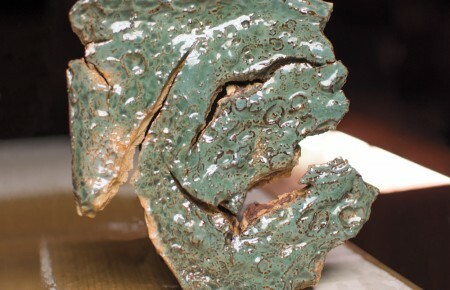 Also included are lists of wineries and vineyards, as well as recipes from selected restaurants. The book is the longtime Newsday food critic’s compendium of indispensable information on anything and everything food related in Nassau and Suffolk. Long Island not only boasts some of the best farming in the NY region, it is also home to an extraordinary cadre of “locavore” chefs who share a commitment to using only the freshest, locally grown ingredients. The Hamptons & Long Island Homegrown Cookbook profiles 27 artisanal chefs who share some of their signature dishes, as well as insight into how their relationship with their local grower informs their recipes. From the East End’s Nick and Toni’s to Swallow in Huntington, Lavin’s book is a loving homage to these chefs, as well as a celebration of Long Island’s rich culinary traditions. Culinary Institute of America graduate Chef Jason Casey has created recipes everywhere and anywhere – from Hawaii to New York City, to preparing a meal for the President of the United States. Particularly inspired by the land, culture and art of Shelter Island and its surrounding forks, he creates dishes using local, seasonal ingredients. 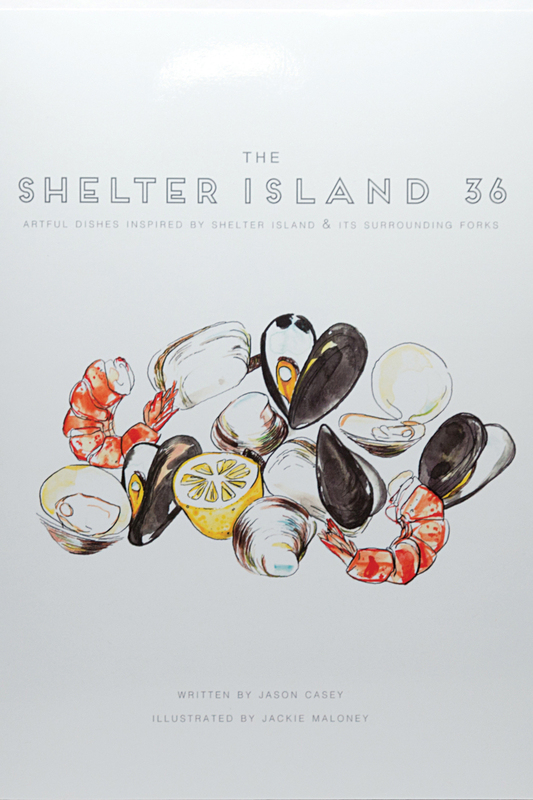 Casey shares his signature recipes in Shelter Island 36, including his take on Long Island roasted duck, soft shell crab salad and apple cider doughnuts. Each mouth-watering dish comes to life with beautiful illustrations by local artist Jackie Maloney. Lauren Lombardi knows food. Her family has been in the fine dining and full-service catering business for decades, establishing an impeccable reputation. Lauren was inspired to create a cookbook that would merge two of her passions: her family’s favorite dishes and her love of photography. Mangia Bene showcases the recipes she grew up with, as well as meals her family serves in their private kitchens. Popular recipes from their famous restaurants are also included in each chapter; all are accompanied by Lauren’s photographs. “Shooting all the photography has been the most enjoyable part. And testing the recipes, of course,” Lauren said.